Ken Pauly dissects a terrific first round performance in the Section 6AA playoffs with host Pete Waggoner and looks to the semi-finals with the Wayzata Trojans. It's senior day for the Red Knights and we sat down with three great young men, Ian Bahr, Jett Johnson and Jonnie Vitelli. The three have been big contributors to the Red Knight's success and their leadership has been passed on to the underclassmen, setting the team up for success in future year. Pauly's podcast has a great discussion with the trio of seniors. It is a special edition of Pauly's Podcast. We take a break from the Red Knight's Boys' Hockey team and take a deep dive with the Knightettes who are preparing to capture their third straight Class AA winter season dance title and fifth in sixth years. We discussed an array of topics with the entire team! We hope you enjoy and go Knightettes! Ken Pauly has his team clicking on all cylinders and discussed his team's successful week along with a pair of big games this week. The player of the week was also named. Pauly's Podcast 8 delivers a fire-wagon brand this week. The show looked at the Red Knights run of 3 straight wins, their big weekend tilt with the Academy of Holy Angels along with the challenging schedule ahead. The player of the week was named and the challenging weather of Hockey Day Minnesota was discussed. Ken Pauly discusses his team's 4-2 win over Lakeville North, looks at the upcoming schedule and unveils this week's player of the week. Pauly's Podcast is presented by Merrill-Lynch - Diana Brass - Wealth Management Advisor. Ken Pauly discusses his team's up and down week as they picked up a big win over Hill-Murray and fell to Bloomington Jefferson. Ken Pauly in a post game chat with host Pete Waggoner after his team defeated the Wayzata Trojans 6-3. The pair discussed the game and took stock on where his young Red Knights are at. Ken Pauly discusses his team's past week and looks ahead to the 20-year State Tournament team celebration. A very special guest, Jack Jablonski joins the podcast for a great segment. BSM Head Coach Ken Pauly discusses his team's successful North South Classic weekend in Brainerd. He also talks about his JV team and names the Player of the Week. BSM Head Boys Hockey Coach Ken Pauly discusses the opening three games of the season and looks ahead. Ken Pauly discusses the preparations for the start of the season while Ian Bahr and Nate Schweitzer stopped to talk about this year's club. 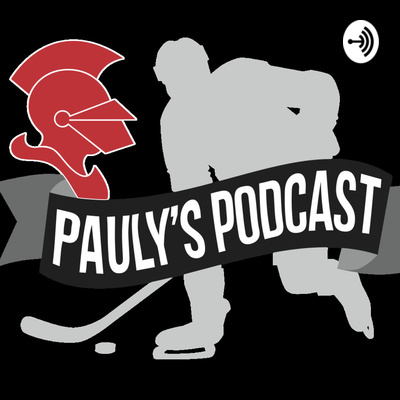 Pauly's Podcast ushers in the 2018-2019 Red Knight season. Head Coach Ken Pauly discusses the new locker rooms, the upcoming season and the 20-year anniversary of the 1998-1999 State Championship team.